submitting a technically correct tender response, you also need to satisfy members of the procurement panel with minimal IT knowledge that are often more interested in corporate procurement practices rather than technical information. At The Tender Team, we understand the deep industry knowledge and terminology required to successfully draft winning IT tenders. We combine this technical knowledge with our ability to write with flair and style, in order to produce engaging IT tenders. Our consultants will work closely with you throughout the tender process to ensure all available and relevant knowledge within your business. We will draft content in simple English where applicable, and ensure your bid is professional and exciting. Our experience with IT tenders integrates well with our experience in equipment supply tenders, ensuring we bring a holistic approach to your tender response. It’s important to convey your expertise and insights into your services and a clear and concise manner. 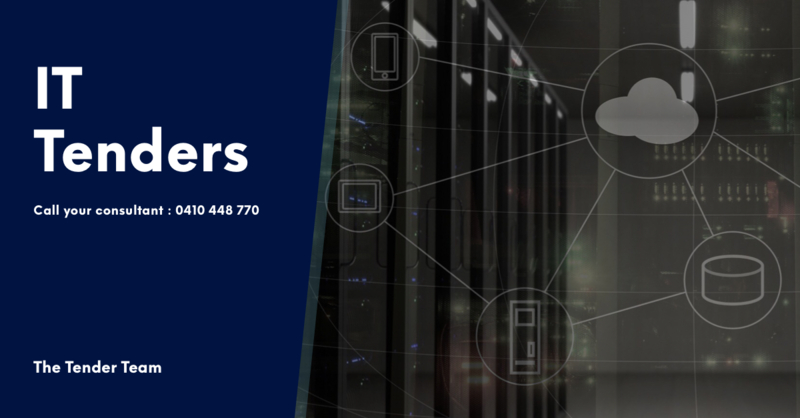 We will work with you to ensure this is the case, and have worked with hundreds of businesses in the IT industry looking to win more IT tenders. Our consultants will assist you to win more tenders, bids and proposals, retain existing clients, and drive tender success. Our service includes drafting tenders and bids on IT advice, software engineering, network engineering and IT equipment supply. Our clients include large information technology suppliers such as Toshiba as well as small remote service organisations. Our team are available to assist you on a 24/7 basis on 0410 448 770. We take the hassle out of IT tenders. This gives you more time to focus on your business and your incumbent client relationships. Email your tender documents to info@thetenderteam.com.au for an immediate fee proposal.